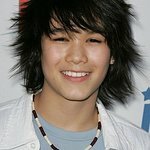 Boo Boo Stewart is an American singer, dancer, child actor, and martial artist. He is best known for playing the role of Seth Clearwater in the third film of the Twilight series, Eclipse. Google trends for "Boo Boo Stewart"
We don't have any videos related to Boo Boo Stewart.